SIDBI (Small Industries Development Bank of India) inviting online applications for the vacant posts available through the online recruitment process. Eligible candidates can apply online through the online recruitment process for the post of Assistant Manager and Private Secretary. Total number of vacancies are less but the designation is much high and pay scale is also attractive. you can go through this recruitment to be Assistant manager or private secretary posts. To know about the education qualification, age limit, pay scale etc. please read the following details and also read the complete advertisement notification before applying online. All the candidates must have at least Graduation degree in relevant discipline or its equivalent qualification as given in the official advertisement from any recognized university / institute. Read official notification for more details. Age Limit: Read official notification to know exact age limit for different posts. Rs. 50/- for SC/ST/PH category candidates. 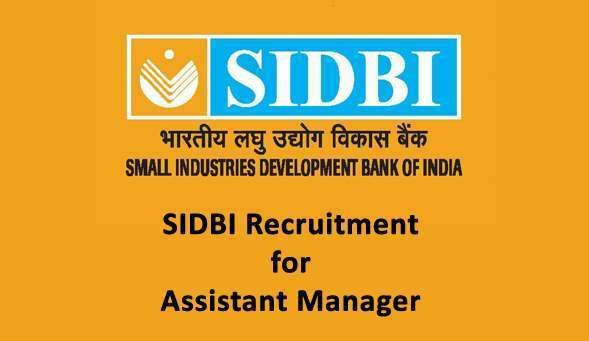 How To Apply Online For SIDBI Bank Recruitment Assistant Manager 2015? 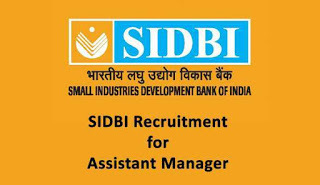 All the interested and eligible candidates can apply online through the official website of SIDBI www.sidbi.com on or before 13 July, 2015. The selection of candidates will goes through written exam followed by interview process. You can apply online directly from the link given below.